Ms. Badmus obtained a Bachelor of Accounting degree from Ahmadu Bello University, Zaria. She is also a member of the Institute of Chartered Accountants of Nigeria (ICAN). 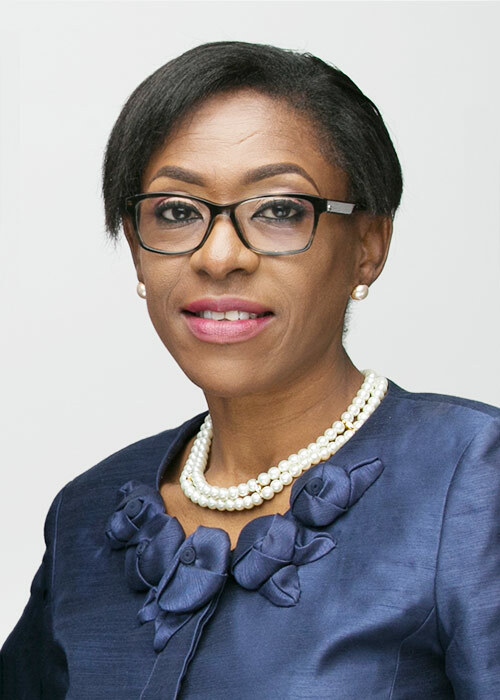 She started her career as an Audit Trainee with Deloitte & Co from 1990 – 1995 and later moved to First City Monument Bank (FCMB) between 1995-2002 where she worked as the Head, Treasury. She worked with Bond Bank as Treasurer, Head of Operations and Branch coordinator where she supervised branch marketing, branch and domestic operations, service quality and relationship management. She also served as Head, Skye/Cooperative Bank Integration Team and Head Internal Control and Compliance. She was Executive Director/Chief Financial Officer and later Divisional Head – Home Finance Division at ASO Savings and Loans. She Joined Eterna Plc in July 2014 as Head, Financial Controls and was appointed Executive Director and Chief Financial Officer in October 2016.